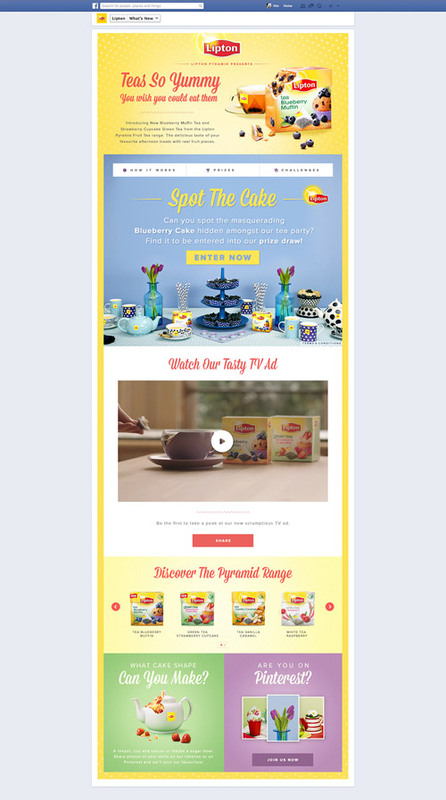 Spot the Cake was a cross-platform, digital campaign developed to launch the new Lipton Pyramid teas - Blueberry Muffin and Green Tea & Strawberry Cupcake. 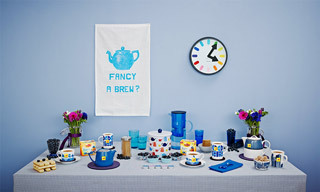 The new tea flavours were inspired by the two most popular tea time snacks, so the campaign was concepted to show how well this union works. 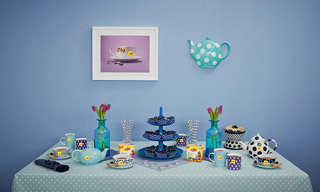 Following the Tv Ad, we developed an online, social game. 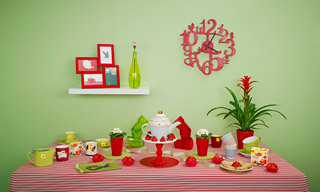 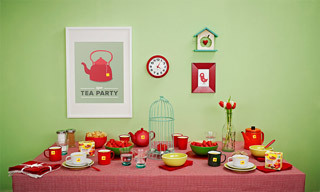 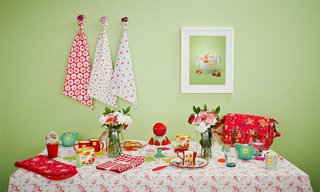 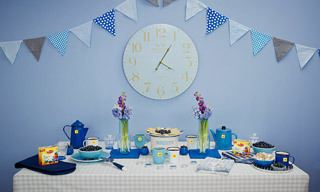 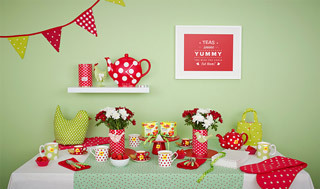 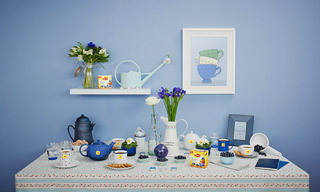 Twice a week, for six weeks, a new Lipton tea party scene was released. 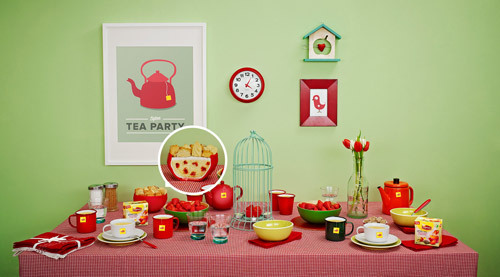 Each scene hid a muffin or a cupcake masquerading as a tea party item, such as a teapot or a china cup, and it was up to the Facebook gamer to correctly spot the cake. 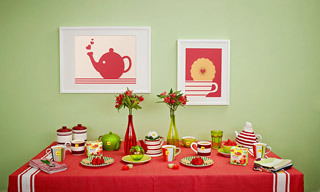 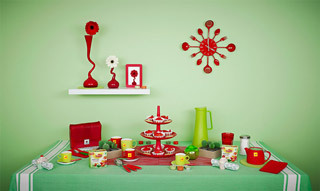 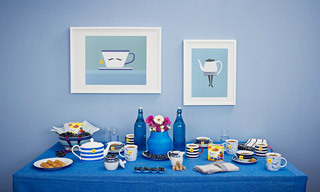 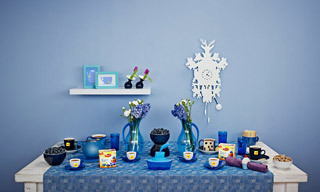 Each set design was conceived to showcase the teas' flavours using colours sampled from their ingredients.